A VA loan is guaranteed by the Office of Veteran's Affairs. This guarantee is only available to veterans who meet the necessary qualifications set forth by the VA. In general, most honorably discharged veterans are qualified for this loan guarantee, but obtaining the certification from the VA does not mean that the veteran is automatically eligible for a loan through any lender. Borrowers must go through a mortgage loan application process through a lender before getting approved for financing. Request a copy of your credit report and review it. You'll want to make sure that your credit score is acceptable and that there are no delinquent accounts on your report because these are the types of things that can stop you from getting approved for a VA mortgage loan. If there are negative items on your report, fix them and wait until your credit report reflects the changes before applying for the loan. Request a VA Certificate of Eligibility through the Veteran's Administration. Both current military members and veterans must go through this process before obtaining a VA guarantee. 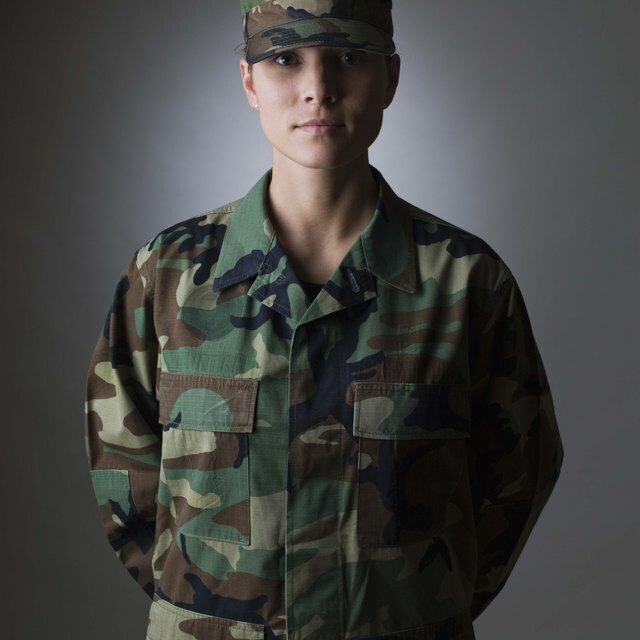 Current military members will need to supply proof of military status and veterans must supply a copy of their DD Form 214. To obtain a VA Certificate of Eligibility, fill out a VA Form 26-1880 on the VA website or request one through the mail. Increase your chances of getting preapproved for a VA loan by offering a substantial down payment. VA loans do not generally require any down payment, but a lender will be much more willing to approve a loan with a down payment than one without a down payment especially when there are credit issues involved. A down payment on the home makes you less of a credit risk to the lender. After you receive the VA Certification, apply for a mortgage pre-approval through a lender. Only apply through lenders who are willing to deal with VA loans, since lenders aren't required to offer these types of loans and only do so if VA loans fit within the lender's mortgage loan portfolio. Ensure that you are applying for a pre-approval as opposed to a pre-qualification, because pre-approval is an actual loan approval while a pre-qualification is not. If you are turned down for the pre-approval, find out what caused you to get turned down and fix the problem. It may be a matter of paying down some existing debt or providing additional proof of employment. You also have the option of applying for a pre-approval with a different lender, although chances are you will encounter similar results until you fix whatever stopped you from getting pre-approved from the initial lender. VA loans have funding fees which can be rolled into the balance of the loan or paid as a portion of the closing costs. Never pay someone to help you obtain your VA Certificate of Eligibility. The VA is poised to assist you and makes the process simple.